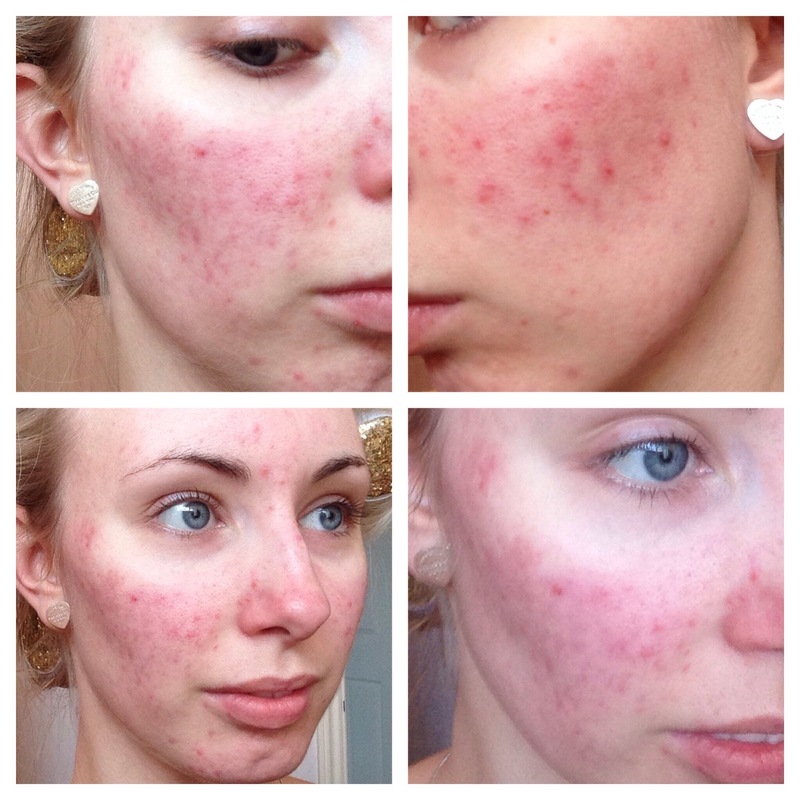 redness – The Beauty Spot. Ever since starting my blog I’ve wanted to talk about my skin. I have referred to it when talking about products, but I wanted to speak more openly about my trials and tribulations! I have had acne since the age of 14, I’m now 25 and still suffering from angry looking redness and scarring over most of my face. When I refer to ‘scarring’ I don’t mean pock-marks where skin is dented, just extremely red marks from where spots have been. (I will be including some pictures throughout this post to illustrate different things.) The scarring is not painful and most of it is smooth to touch. I do still get bruise-like spots under the skin, and the usual ‘monthly’ type but I can usually deal with them and cover them up until they depart. It’s the red scarring that I’ve not been able to rid. 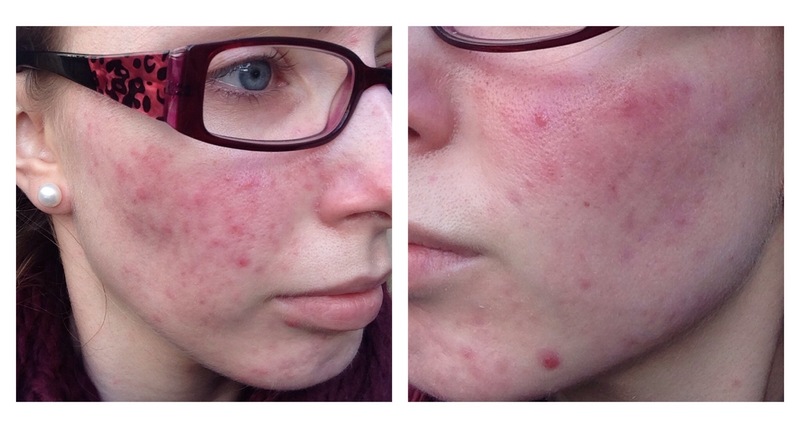 That’s how my acne is at this moment, but over the years it has changed. At around 14-16 it was on my forehead, chest and back. I used to keep my hair really long so that it would cover my back when I was wearing vest tops or anything that showed part of that area. Between 16/17-21 it started to ‘drain’ down my face. Where I had never had any skin issues (cheeks), I started getting a spots, and, more importantly, scars. (FYI my forehead/chest/back are not scarred at all.) At around 22 I felt I was starting to grow out of it, when another health issue arose meaning I needed to take a very very high dose of steroids over a short time frame (5 days). This dose was so high the pharmacist questioned if my prescription was correct. Since I had to take this type of dose two years running (2011/2012), my skin has never really calmed down. In terms of looking after my skin, I’d say I haven’t been the best and haven’t been the worst. I trained as a beauty therapist and worked for a luxury skincare brand for 4 years, I know how to look after my skin. However the one thing I neglected on a semi regular basis was removing makeup at night. I know , I know there was a huge intake of breath then(! ), but to be honest, I was just a bit lazy! Obviously I would thoroughly cleanse in the morning so my skin always got a good daily clean, I was just too lazy of an evening. I know many people will say that that was the culprit of my bad skin, but I have to say I partly disagree. How can my mom (1/2 same DNA) have spot free skin her whole life when I’m stuck with what I’m stuck with! I really believe it is more down to a hormone imbalance and probably a lack of drinking water, (I really do not get the time/opportunity to drink during the day) combined with not removing makeup at night. Since I am a girl, I’m lucky enough to be able to cover most things on my face with the joy of makeup! It was only when my makeup started to look terrible and wear off too quickly that I thought I should really give myself a talking to. 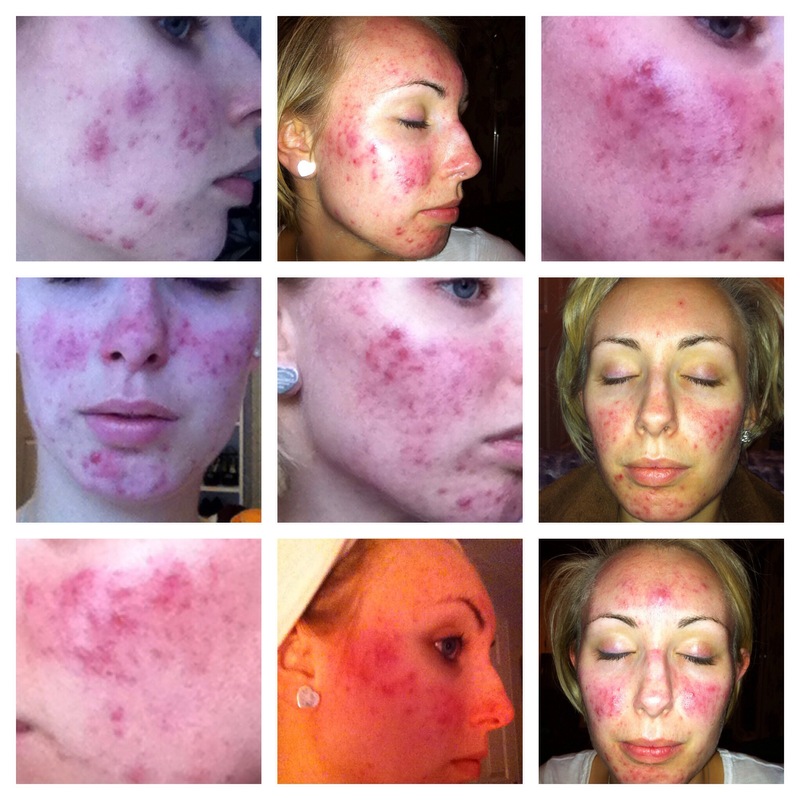 The pictures below show a few images of the redness at its worst. Admittedly the iPhone flash is the worst camera flash in history, so some images look worse than I felt it was in ‘real life’ but you can see how angry it is. I have been sporadically taking pictures of my skin over the last 18 months or so. Mainly to just keep a tab and compare for myself, maybe I always knew I’d start a blog and talk about it! So the 9 above are anything from 18 months ago to 9 months ago. The next two images show me immediately after a Clarins Tri Active facial treatment. This one was also taken in daylight. You can see I have some enlarged pores on my cheeks, but luckily I don’t get too many blackheads. The redness is obviously still prominent but it’s less angry than the first images. These two were taken around 8 weeks ago. These pictures have been taken this week. I took them just before I did my Cat Flick makeup look. To me, my skin seems much calmer, less irritated and looks much smoother. In real life, I may be tempted to leave the house without makeup, only on a day off though when I won’t see anyone I know! I think I’ve come a really long way from the first set of images, and I think most of the improvement has happened in the last 5 months. The one thing that I can say I’ve done in that time is to stick to a routine. That has consisted of an evening routine of removal of my makeup followed by a second cleanse with a cleansing balm, exfoliate around twice a week, use two different masks once per week, and apply a serum and hydrating moisturiser afterwards. I have been trying to do this as soon as I get home from work, but if not that I have always done this before I go to sleep. I will most likely do a post on the products that have been helping me over these past few months, but I feel I’ve babbled a bit much now! I’d love to hear what you use if you have similar skin issues to me, or link me to a post if you have done one.